Lohri: The Festival of Happiness, Harvest and Punjab! 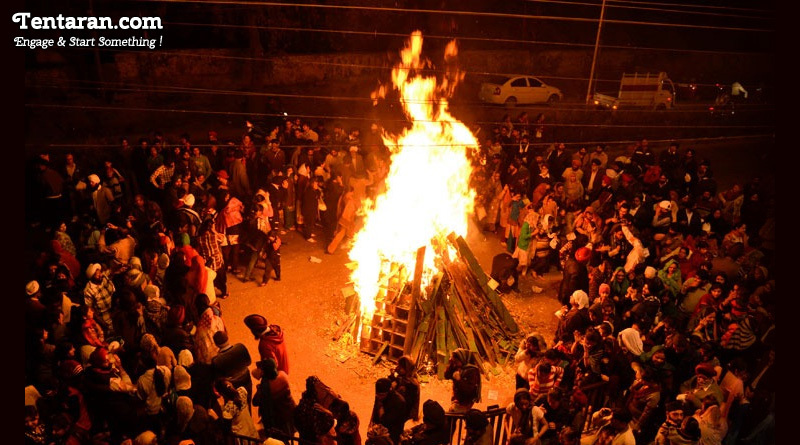 Lohri, one of the biggest Punjabi Festival occurs every year on winter solstice-The day which marks the shortest period of daylight and longest night of the year. It is celebrated with full swings of happiness among Hindus and Sikhs across the Nation. Lohri features traditional singing and dancing accompanied with sumptuous feast and bonfire. Bonfire indicates to burn all the moments of sadness and to bring in the warmth of happiness and love. It also marks the end of the harvest in Northern India and is characterised by the worship of fire. The Lohri fire gets sanctified and is respected as a deity. Wheat is the Main crop in North India, which is sown in October and harvested in March or April. January is the month when fields come up with a promise of good harvest. Since good harvest is what every farmer wishes for, Lohri holds important significance in their lives. The main ritual includes chanting prayers in front of the fire for abundant crops and taking parikramas (three rounds of the pious fire) while throwing peanuts and sweets in the sacred fire. After this ritual ‘prasad’ is distributed that includes mainly six things- sweets like gur, gazak and revdi, peanuts, popcorn and puffed rice. Although there are various folk stories and legends associated with the festival. The most famous of them all is the legend of Dulla Bhatti, during the reign of Akbar. According to the legend, during the reign of Akbar, there was a Raja (king) of Pindi Bhattian, Dulla Bhatti. He was respected and loved duly by tribal people as he used to rob the rich to help the poor. You may call him as Indian Robin Hood. He had once helped two miserable village girls “Sundari” and “Mundari” by getting them married off like his own daughters. In the troubled moment, he helped the girls by convincing the grooms and their families to marry the girls in a forest and presented them sugar in form of ritual. Since then this hero is remembered each year on Lohri and the traditional song is sung as a tribute to this hero. Since Lohri signifies the fertility and Joy of life, it holds an important significance for newly married and newborn babies symbolising family fertility.